A few weeks ago I actually managed to get the girls to the library. Yep, the same library we walk past three times a week. That week we actually managed to go inside. While browsing the shelves I saw a book about mummies and thought the girls might enjoy it (we also took out books about animals on the prairies, weather and seasons, valentines, mining, and sheep). It turns out the girls LOVED the mummy book. So we took out a few more books about mummies, pyramids, and the sphinx. Nevermind. We didn’t actually take toilet paper. Certainly the bandages on the Egyptian mummies are one major difference, but I felt there was much more to the whole process than just wrapping. I also thought my girls would understand a lot better if they actually made REAL mummies. So we went to the store and we looked at the chickens, and the ducks, I said no to the geese and the turkeys, and they settled on a game hen each. We also bought some salt, bandages, and some oil. Each girl chose a couple spices to add to their jar of oil (to make the scented oils). 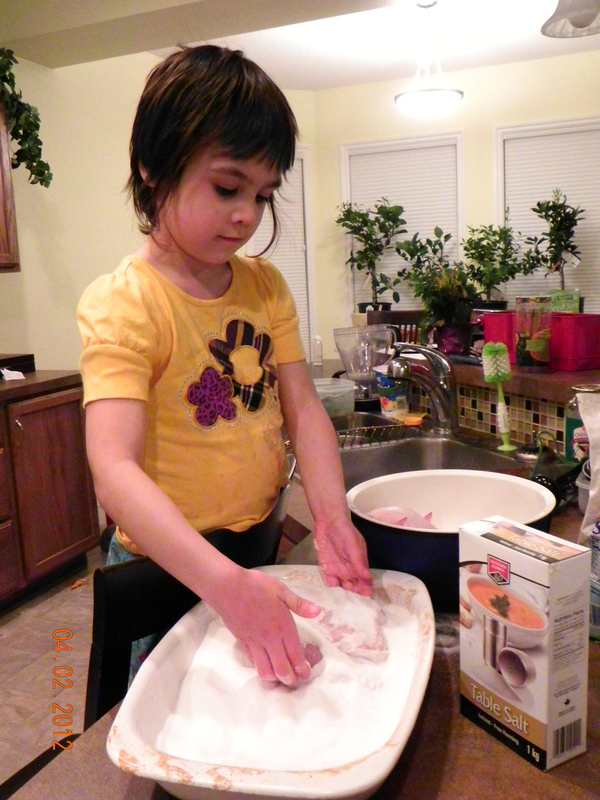 Agatha chose allspice, cloves, and cinnamon. Ella wanted only anise. We added the chosen spices to the girls’ jars and capped them. 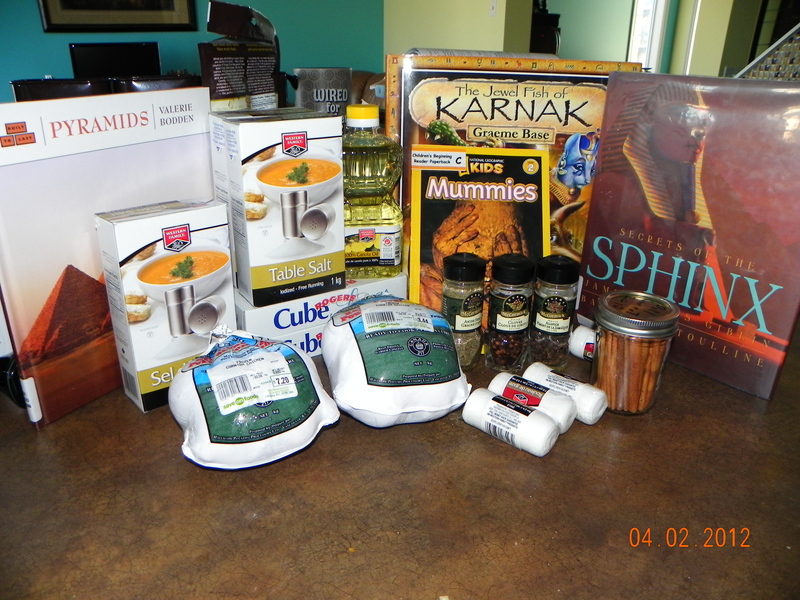 We knew it would take a while to make the mummies so we thought the oils would have plenty of time to infuse. 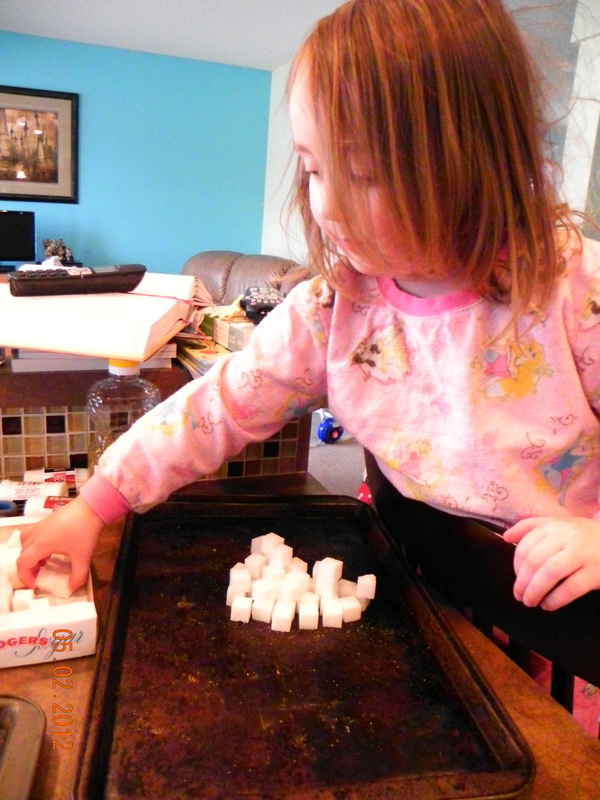 Each day we agitated the jars a bit to mix things up (the girls had a blast with that). 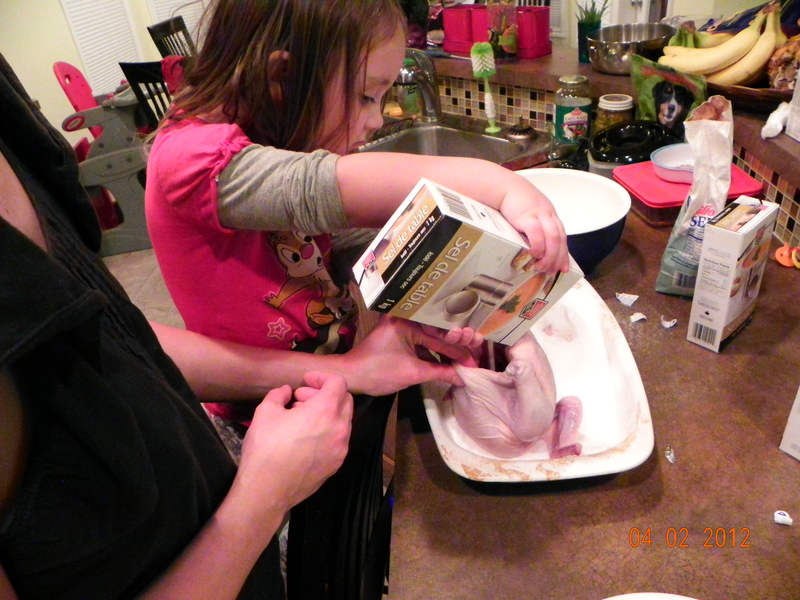 Then we prepped the hens. We washed them and pulled out the extra bits that were inside. 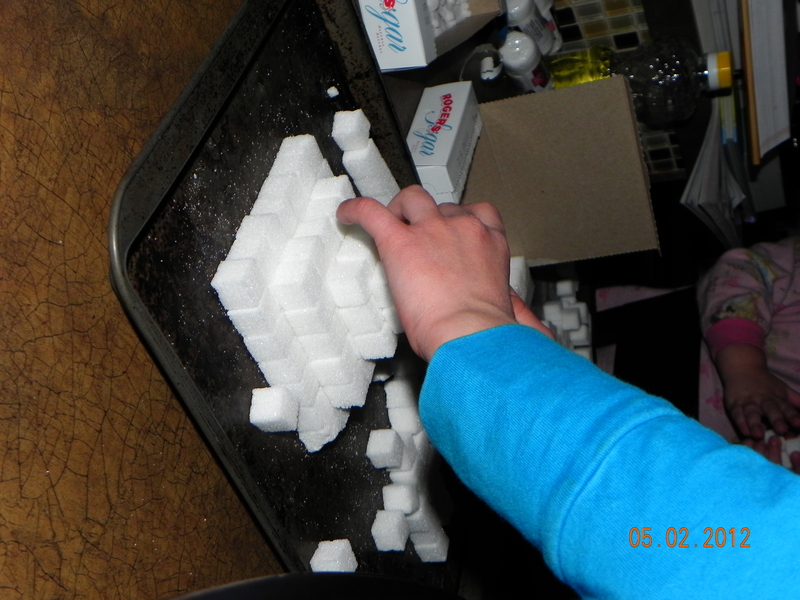 Then we filled them with salt, laid them on a bed of salt, and thoroughly covered them in more salt. Just a note for anyone thinking of doing this at home – you need ridiculous quantities of salt! After the hens were completely covered we set them on the counter and left them there. For a very long time. While we waited for the salt to work it’s magic we talked about what the salt was doing to the bodies, and did a quick demonstration with a bit of water and some salt. We then read a couple books about pyramids. And the girls tried there hand at building. We determined tomb robbers might find a way into some pyramids easier than others. After the hens sat on our counter smell free for a while (weeks) we removed all the old salt and replaced it with new salt. We really should have done this sooner, but time got away from me. Our hens were still very moist. But a few weeks after that when we changed the salt again, things were looking much better. 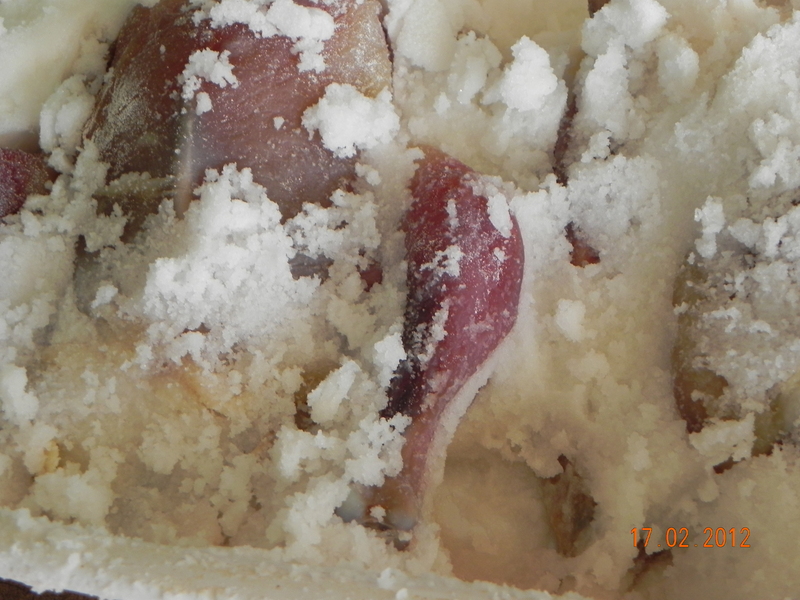 Then after roughly 40 days we removed the salt to see what our mummies looked like. They were very dry and leathery. 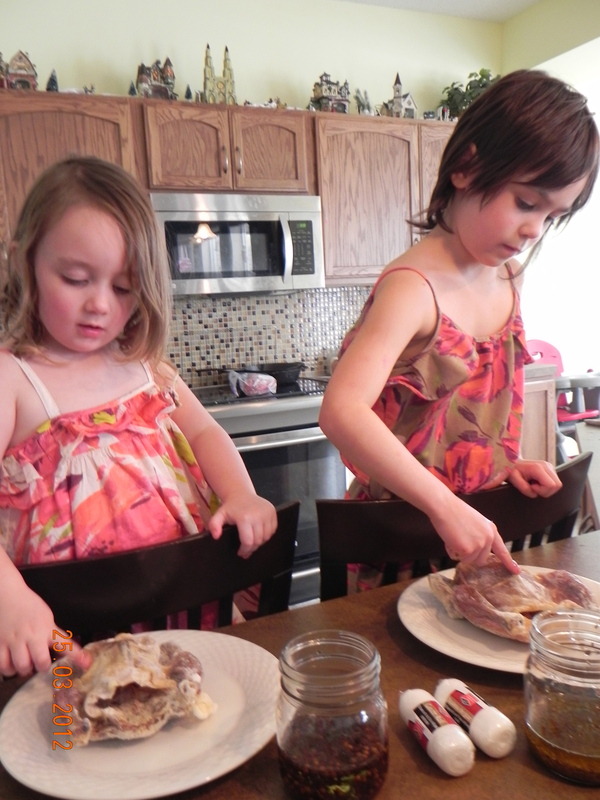 We opened our jars of scented oils and the girls rubbed the oils on the hens. 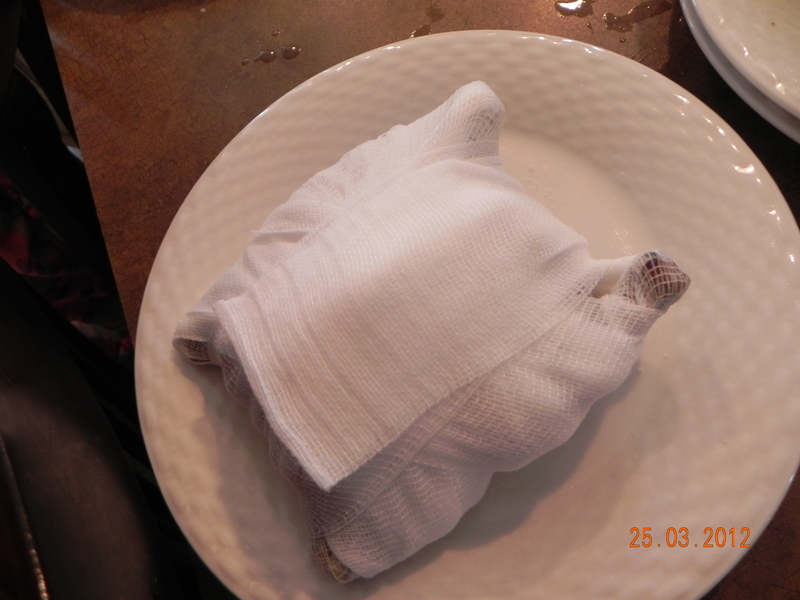 Then they wrapped them in linen (gauze) bandages. 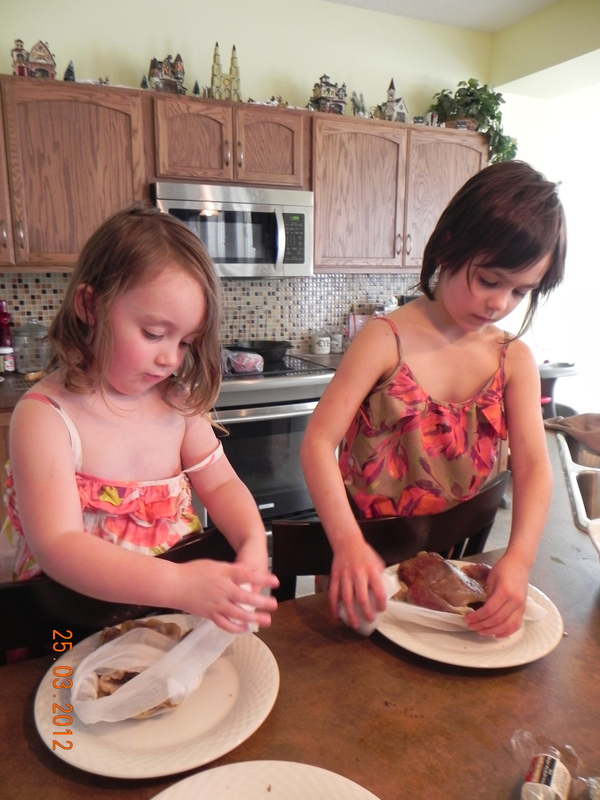 They were very proud of their handiwork and still have their mummies on our counter to show anyone who comes over.